It was a rough day for the Democrat Party. Attorney General Bill Barr ended their attempt to overthrow the 2016 election victor and concluded candidate Trump did not collude with Russia. New York Democrat and House Judiciary Chairman Jerry Nadler took it especially hard. The top Democrat did not believe the news today. 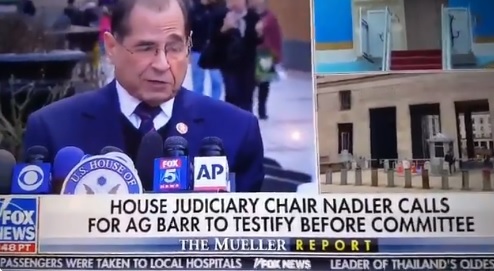 Nadler promised to call in Attorney General Bill Barr for testimony.